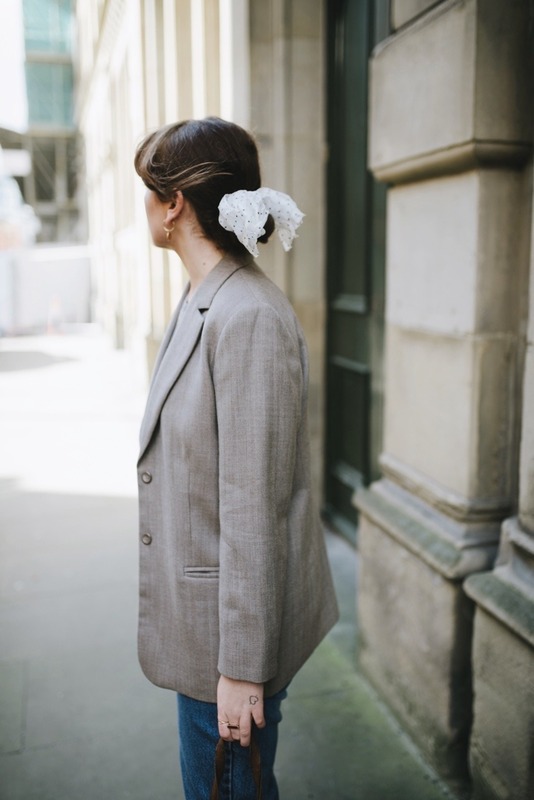 One of my recent discoveries on Etsy has been a little LA based boutique called Olive Vintage. I’ve already placed two orders in the last couple of months, and I’ve been checking back for new stock religiously. 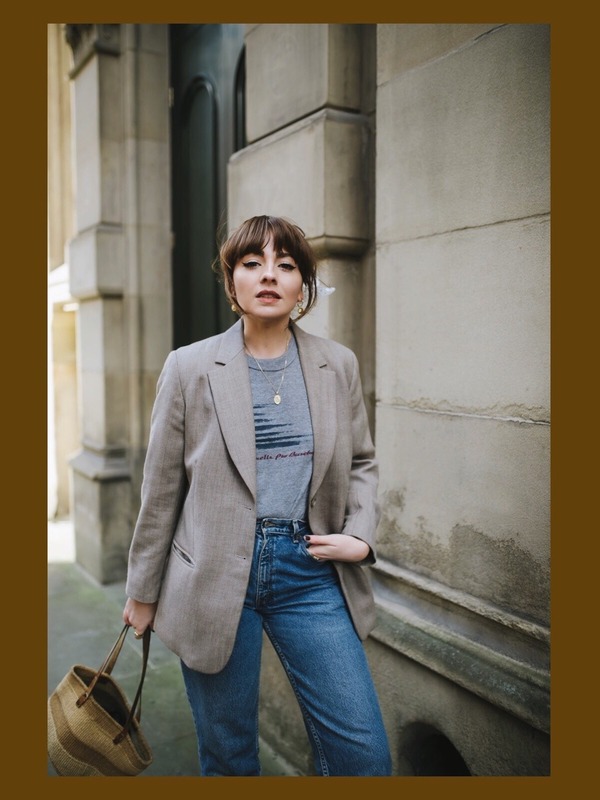 If you’re anything like me and you love blazers, blouses, and vintage baseball T-shirts – this is your one stop shop. 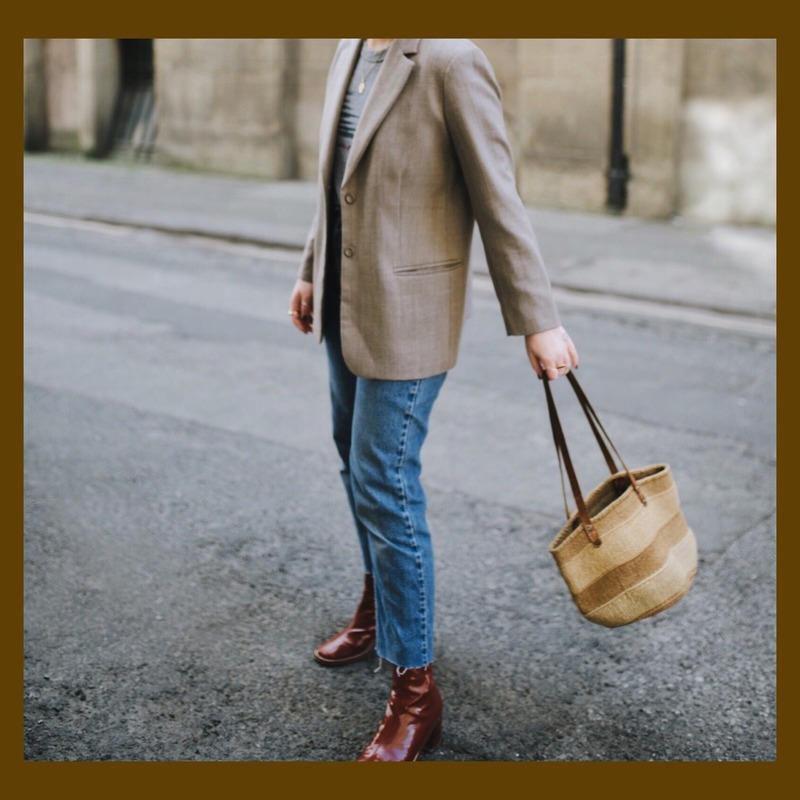 You’d really be surprised about how much you can get for your hard earned money on Etsy too – I buy most of our vintage homeware from Etsy and I’ve never been disappointed. 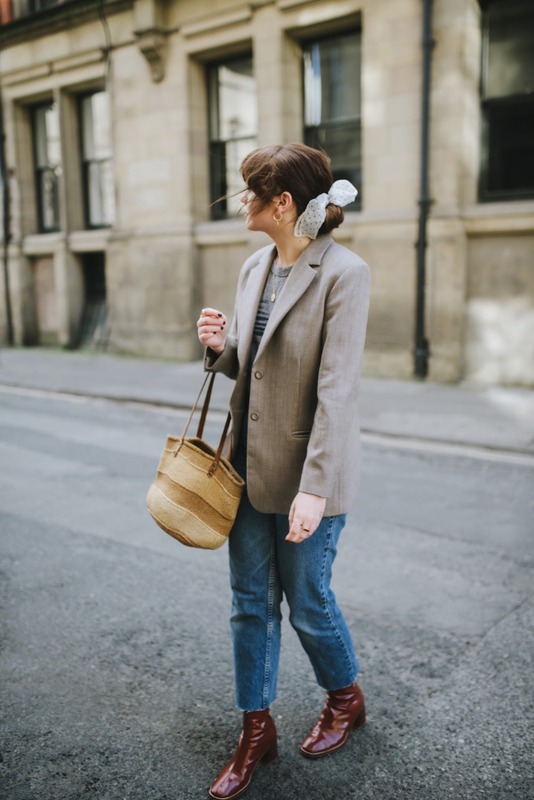 I have a couple of really beautiful/wooden backed mid century style mirrors that I’m totally smitten with – I’m just hoping I don’t smash them on the way to the new flat (eighty percent likely to happen). Anyway, check out of places like eBay, Etsy and Depop if you’re trying to source some unique vintage pieces. 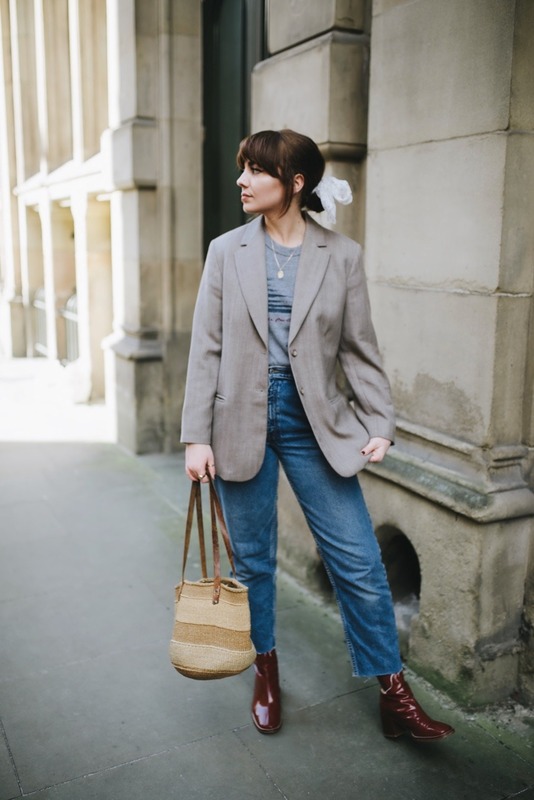 I snapped up the above blazer and vintage tee from Olive Vintage and they are both my favourites. I also managed to get my hands on a silk stripe blouse and a creamy beige (almost yellow) blazer. I’m so excited to shoot them when the sun makes an appearance again – is anyone else seriously considering booking a one way flight to somewhere hot? It becomes such a burden when you rely on the weather being decent one day out of the week so that you can shoot new content, first world problems and all but it’s definitely a Debbie downer when you have lots of ideas you want to bring to life. I’m an avid ebay/depop used however have never thought to use etsy, shall have to have a look! 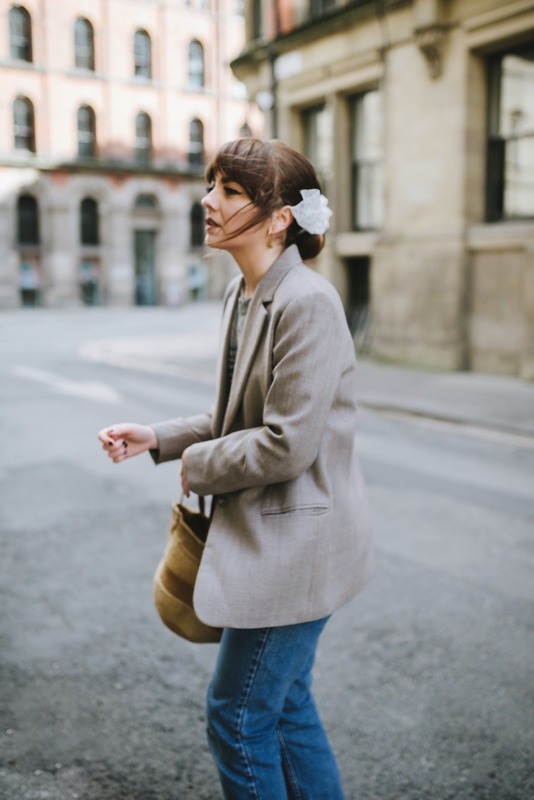 I adore this blazer, I’ve found some gems in charity shops which are a similar style to this one!